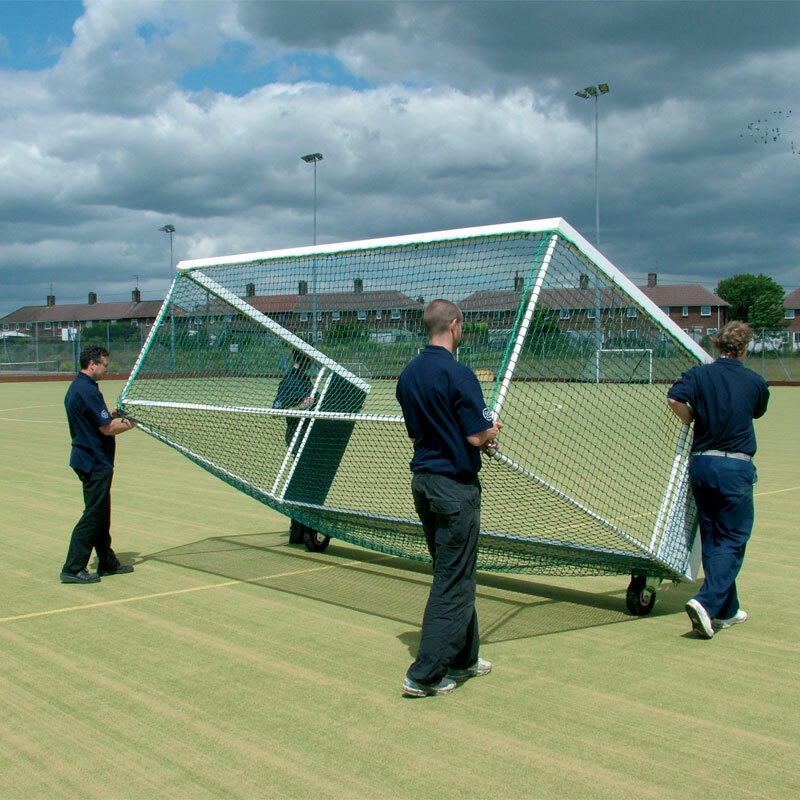 The Harrod Sport ® Heavy Duty Aluminium Hockey Goals are the preferred choice of England Hockey and for all matches at the Manchester Commonwealth Games. An excellent option specifically suited to both water and sand based synthetic surfaces. Conforms to BS EN 750. 4 x Uprights (2 Left, 2 Right). 4 x Side Frames (2 Left, 2 Right). 1 x Pair of Hockey nets. Manufactured from 50.8 x 65mm x 2.5mm thick reinforced aluminium. Uprights, crossbars and side frames all powder coated white. Zinc plated corner joints made from 8mm thick steel plate. Back supports and top backbar manufactured from 32mm diameter x 2.6mm thick aluminium. 460mm high backboards made all inside faces. Side frames complete with fully welded back tubes and lifting handles for added strength. Uprights and crossbars feature stainless steel retaining rods to ensure net is held firmly in position. Please note Cellular Wheels need to be ordered separately. Please search on our website for Harrod Sport Bolt On Fixed Wheels Set of 4. Regulation size 3.66m x 2.14m (12` x 7`) high with a 1.22m (4`) runback. 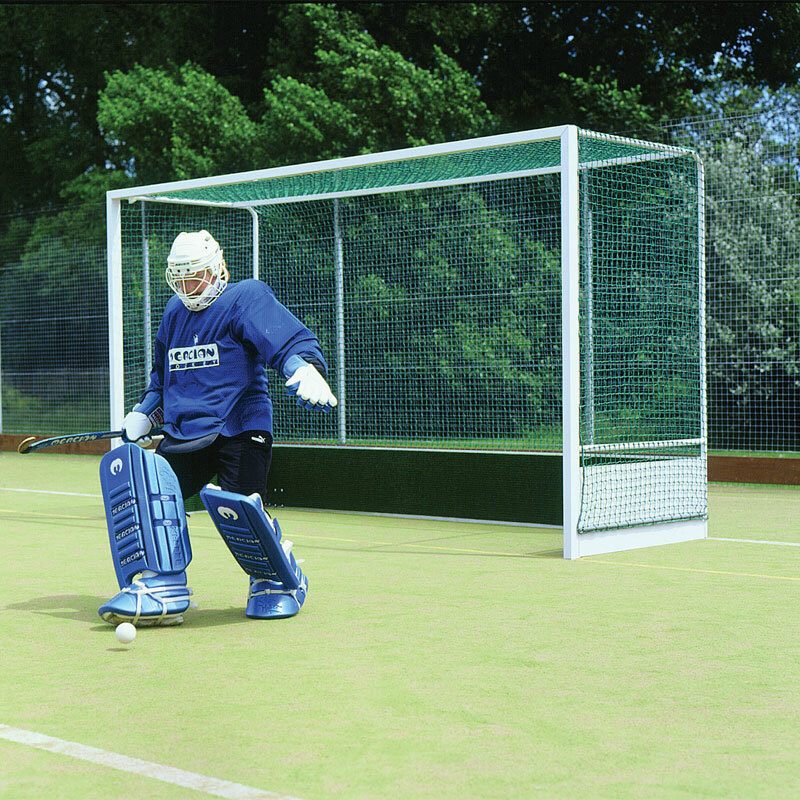 Lost the instructions for your Harrod Sport ® Heavy Duty Aluminium Hockey Goals? Please Click Here to download a new copy.